A lively interactive practical session open to all those keen to find out the No 1 Differentiator in life, studies, wellness and work. How to ride the pressures of study, relationships, finances, family and your future. A talk you'll never forget. Jane Grafton has worked with workplace mindfulness since 2003. She is British, has been based in Singapore since 2000, has trained and coached a wide range of professionals in Asia Pacific, USA, South Africa, India, Europe and UK. Jane has experience in project management, training and development, HR Management and Leadership. She spent 4 years with the British Council in Singapore as a Corporate Trainer, 6 years as a Registrar with The John Lewis Partnership in UK and 16 years in the British Army retiring as a Major in 1994. Jane is also a comedy actress and laughter yoga instructor. 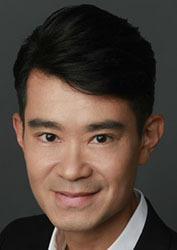 David Chung has 20 years of experience in implementing IT solutions across Asia and the USA. 16 of those years were spent at Intel Corporation where he held regional to global portfolio responsibilities in a variety of roles: from Web Site Manager, IT Business Analyst, and IT Project/Program Manager, to Business Analytics IT Manager and Business Operations Manager. His breadth of experience in serving Sales & Marketing stakeholders ranges from marketing resource management, digital marketing, channel marketing, to lead and opportunity management, e-commerce, revenue management, supply chain management, and customer support.